Oil Rig Fires and Explosions are often scary and emotionally and financially devastating. After it has been determined whether there is loss of life or injury, the next question concerns who or what started the fire. From negligence and equipment malfunction to arson, our team will find the reason a fire occurred so those involved can get the answers they so desperately need. 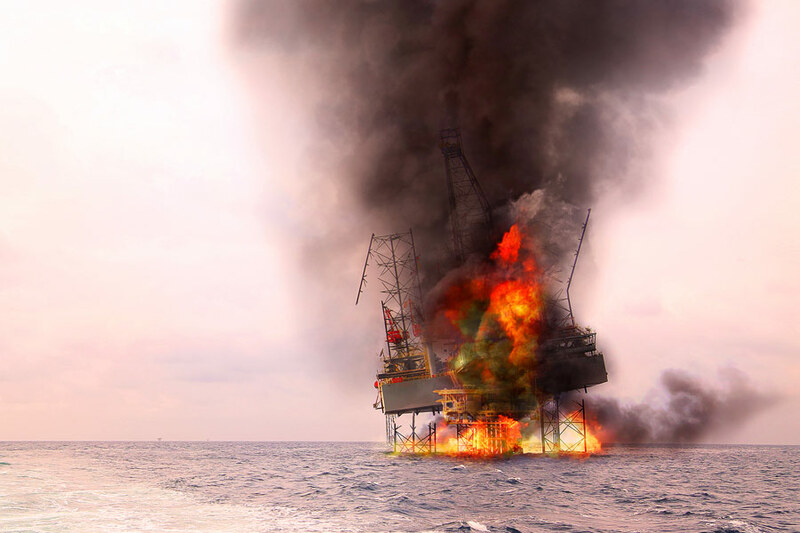 Oil rig fires are a public event, often resulting in years of consequences not only to the business but also to local industry and economies. It is important that our team of experts get to the remains quickly in order to gather evidence and help find the cause of the event. We know that detailed reports are necessary and turnaround time is important so that information may be provided to families, business partners and the public. Forensic Investigations Group, LLC has the experience necessary to handle investigating oil rig fires and explosions. We have the proper and required training, experience and certification to determine how an oil rig fire and explosion began. We will provide thorough reports with evidence to support them for our clients, judges and juries. We are particularly sensitive to the news of oil rig explosions or fires. With our home base close to the Gulf of Mexico and this industry as an important part of our local economy, we want to help our clients and the public understand why fires may start so we may be a part of the solution.